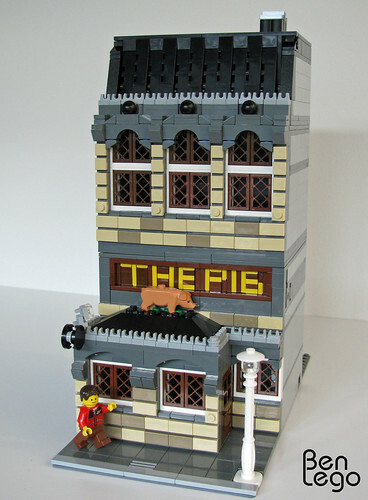 Brick Town Talk: The Pub for Pigs - LEGO Town, Architecture, Building Tips, Inspiration Ideas, and more! Not the animals, but the grungy humans that stumble in and out on a regular basis. It's a great building for it too. The pig complements the bright yellow sign wonderfully. Cheers!